Castle Law Group specializes in actively defending mortgage foreclosure lawsuits with the litigation goal of preventing deficiency judgments or getting the lender to agree to refrain from pursuing a deficiency. Ben offers a flat fee Pre-Foreclosure Short Sale Consultation in which he advises and educates clients on the pros and cons of short sale and how to structure your finances to give you the best chance for success. He alsoevaluates the lender’s short sale approval letter to ensure his clients certain protections. Castle Law Group helps clients decide if a short sale is right for them by explaining the risks and potential rewards relative to our clients’ unique financial situation. Many of our clients can presently afford to continue to make the mortgage payments, but need to get out from under the property in order to retire, to relocate, to downsize, to upsize, etc. While every situation is unique, for many of our clients, putting their financial house in order prior to attempting a short sale is critical to increase the likelihood of a successful short sale, to decrease the risk of the lender requiring a financial contribution towards the deficiency, to plan for contingencies that may arise during the short sale process, and deciding when to pull the trigger. In a short sale, proceeds from the sale of the mortgaged property fall “short” of the mortgage loan balance owed by the homeowner – so the lender or bank must agree to release the mortgage lien (allow the homeowner to sell the home) for less than the outstanding debt. The short fall, or the difference between the amount owed on the home and the proceeds from sale is called a “deficiency” and can still be owed by the original homeowner/seller even after the property has now been sold in short sale. A short sale may be accomplished prior to or during a foreclosure suit. It is important to remember that if the lender has filed a foreclosure suit, responding to the lawsuit is critical. If you do not timely respond to the lawsuit, you put your rights at risk. Who are the Players? What do they do? What is their Motivation? The typical players in a short sale are: the bank (“Lender”), the real estate broker (“Realtor”), the title or closing agent (“Closer”), Buyer, Buyer’s Realtor, Seller (“You”), and if you’re smart, a good lawyer to advise you. The Lender evaluates the purchase price, the amount of net proceeds, your financial position, approves or disapproves the short sale, and decides whether its approval of the short sale will include a deficiency waiver. The Lender is motivated to get as much for the property and/or as much out of you as possible, often including preserving a deficiency for possible future collection of the same. The Lender is also motivated by its balance sheet and other contracts with mortgage insurance companies and the like. The Realtor, once engaged by a Listing Agreement, lists and markets the property and advises you as to listing price, what form of purchase and sale contract to use, and the quality of offers. The Realtor (or at least many Realtors) are motivated to get the sale and, more importantly, the commission. A good Realtor however, will be a partner in helping you solve the problem – getting you out from under mortgage debt without risking a deficiency. The Closer or title company typically acts the intermediary between the Lender, the Buyer and the Seller for purposes of closing the transaction, getting the Approval from the Lender and distributing the proceeds from the short sale. The Closer or title agent is motivated to do the closing in order to get the title insurance premium. In most cases, it is a misconception that the Closer “negotiates” the short sale. In reality, the Lender decides whether or not to approve the short sale based on its internal criteria, not who hands the lender the short sale application. There are also many law firms that “negotiate” the short sale in order to get the title insurance premium. However, we typically recommend using a title company instead of a law firm. The Buyer is motivated to get the house, typically at a discount for having to endure the short sale process. The Seller (“You”) are simply trying to get out from under an upside-down mortgage. The good lawyer is someone who can hold your hand through the short sale process, review the listing agreement and the purchase and sale contract and the short sale approval letter (link) to look out for your interests relative to the interests of the Broker, the Seller and the Lender. The lawyer, for a fee, solely looks out for your best interest – which is getting you out from under an upside-down mortgage. Most importantly, before you undertake a short sale, a lawyer can look at your finances and advise you on putting your finances in order or taking steps to arrange your finances for increasing your chances of getting off the hook. Your financial well-being is at stake. Your goal is to get out from under an upside-down property / mortgage – without having to come out-of-pocket to pay a deficiency or risk future lawsuit over a deficiency balance. Your ownership of the property is your leverage. Your ability to deed the property to some third-party Buyer in a short sale; or your ability to refrain from selling the property if the Lender will not let you off the hook for the deficiency is your leverage. 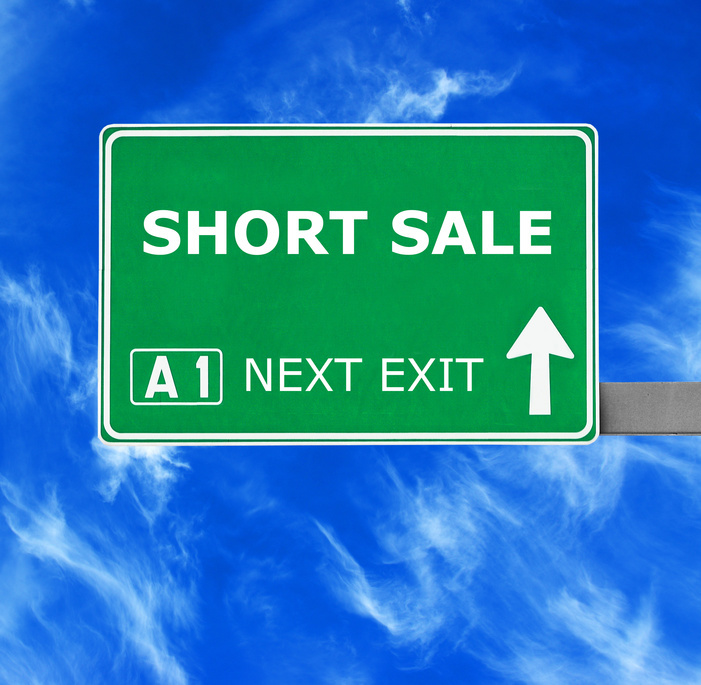 Short sale is one possible avenue for resolution, but it is not the only avenue. It’s important to understand that if the lender’s short sale approval letter does not release you from the debt (the loan itself) you are still at risk. In other words, unless the lender has affirmatively and specifically agreed not to pursue a deficiency in its short sale approval letter, you are still on the hook for the deficiency. As part of the Lender’s short sale process, the Lender asks for the Borrower / Seller’s asset and income information. The Lender does not need to know how much you make in order to determine whether the purchase price approaches the market value of the property. The only reason the Lender requests such information is to determine if the borrower is someone the Lender would pursue for a deficiency judgment. Therefore, proper planning for such disclosure could be critical. Additionally, when facing full financial disclosure, some of our clients decide to pursue other resolutions, or decide to strategically re-organize their assets in anticipation of such disclosure. Regardless, each client’s financial situation is unique and they should understand the risks associated with their particular situation. Hiring the right realtor or real estate broker to conduct a short sale is critical to your chances of avoiding a deficiency judgment. While your foreclosure defense attorney’s goal is helping you avoid deficiency judgment, your Realtor’s or Real Estate Broker’s goal is to sell the property and collect a commission – regardless of whether or not the Lender agrees to waive deficiency judgment. However, a good realtor does not lose sight of your goals. Your realtor or real estate broker may not have your best interest in mind. Again, their priority is selling the property and collecting a commission. In fact, many brokerage agreements include a short sale addendum that could leave you vulnerable. Many require that the seller provide “ALL” information the lender may request – which again is a risky fishing expedition. Few include a provision that makes “closing” contingent upon the Lender’s agreement to waive deficiency judgment and cancel the promissory note. Without such a provision, the short sale buyer could sue to force the seller to “close” once the Lender approves the short sale – even if the seller is not satisfied with the terms because the lender has not agreed to waive deficiency. You can’t afford conflicting priorities when hundreds of thousands of dollars are at stake. Be certain that your interests are being protected throughout the short sale process. Every short sale situation is different. Therefore, you need individually tailored advice. Because real estate brokerage agreements are as varied as the selection of brokers, a thorough review of the proposed listing agreement or brokerage agreement is absolutely necessary to ensure a consistent strategy to help avoid a deficiency. Castle Law Group typically recommends the use of one of our addendums to the Short Sale Listing Agreement (or Brokerage Agreement), and one of our addendums to the Purchase & Sale Contract. Make the real estate broker’s commission contingent upon closing, limited to proceeds from the short sale. This helps clients avoid paying brokers who bring “ready, willing and able” buyers who never close on the sale. 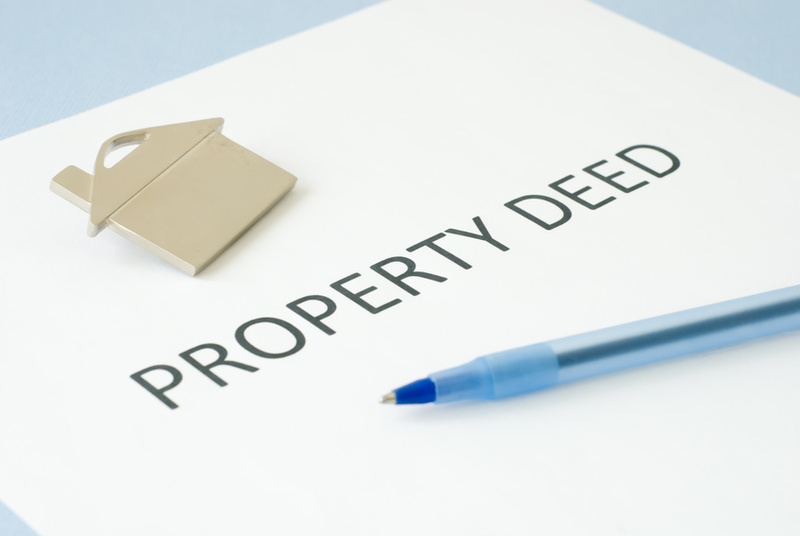 Give the seller discretion over what financial information they will provide to the lender. This lets the seller withhold select information that could leave them vulnerable in the Lender’s fishing expedition. State that the seller is not obligated to “close” unless they’re 100% satisfied with the terms of the lender’s short sale approval letter, contract or settlement. This protects the seller from lawsuits from a buyer urging closing where the Lender has approved the sale but not agreed to waive deficiency or cancel the promissory note. Ben also educates on other options like Loan Modification, Deed-in-Lieu of Foreclosure and Foreclosure (also known as an agreed final judgment of foreclosure) in exchange for a deficiency waiver. And in most cases takes a “cover all bases” approach that pursues multiple options simultaneously. A Short Sale is where proceeds from the sale of a property will fall “short” of the debt or balance owed by the homeowner on the mortgage loan. For a short sale to close, the lender or bank must agree to release or satisfy its mortgage in exchange for the short sale proceeds. The short fall, or the difference between the amount owed on the home and the proceeds from sale is called a “deficiency”. A deficiency, if the Lender has not otherwise agreed to cancel, can still be owed by the homeowner even after the property has now been sold. Satisfying the mortgage lien is different than canceling the promissory note or agreeing not to pursue a deficiency. Does Short Sale stop foreclosure? Engaging in a short sale, absent written agreement otherwise, will not stop an ongoing foreclosure suit. However, if a short sale closes and the lender accepts the closing proceeds as full payment, they should dismiss the foreclosure suit. Each situation is unique. Many times it makes sense to attempt a short sale before a foreclosure suit has been filed. However, many of our clients enter into the short sale process a year or two years into a foreclosure suit. Short sale can be a great option for getting out from under an upside-down mortgage because if accepted by the Lender or Lenders, it allows you to sell a property for less than the balance owed. However, a critical part of a short sale is the Lender’s agreement to refrain from pursing a deficiency. Ben Hillard advises clients concerning getting out from under upside-down properties and actively defending mortgage foreclosure lawsuits with the litigation goal of preventing deficiency judgments.